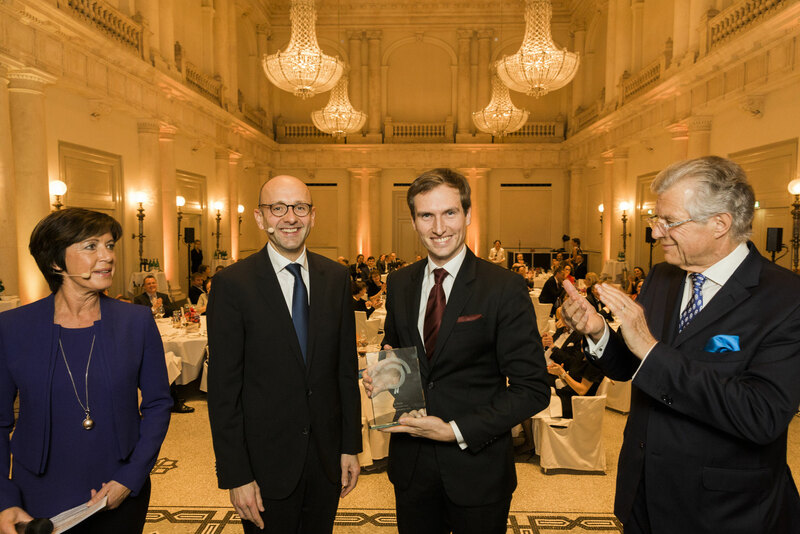 Berlin/Frankfurt am Main, 24 November 2018 • First prize in the 2018 Gravenbrucher Kreis Research Awards has been conferred on Patrick Keinert for his doctoral thesis in comparative law entitled ‘Contract Termination in Insolvency’ for the University of Geneva. 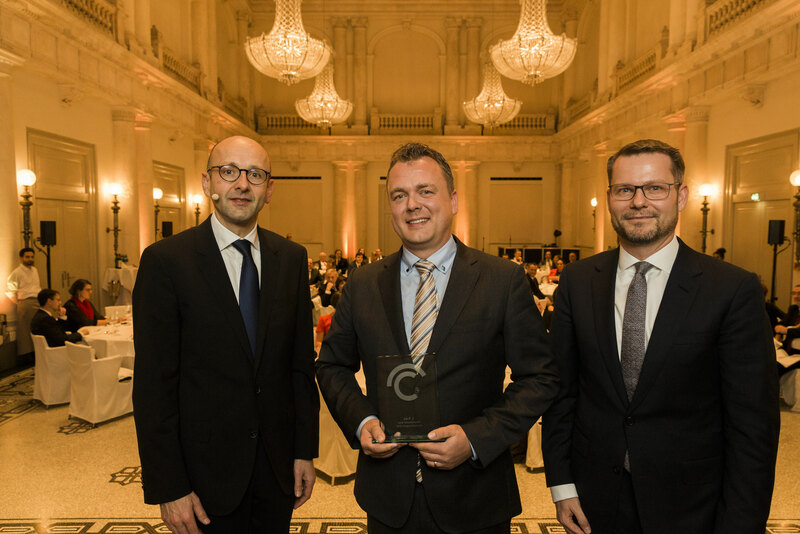 Meanwhile, Lars Petersen has won the 2018 Gravenbrucher Kreis Journalism Awards for his series of newspaper articles on the insolvency of airline Air Berlin. “By holding the 2018 Research and Journalism Awards, Gravenbrucher Kreis is supporting scholarship in German insolvency law for the sixth time and highlighting especially good examples of journalism addressing company restructuring and insolvency,” said Lucas Flöther, Chair of Gravenbrucher Kreis, explaining the aims behind the awards with prize money totalling €20,000. This year, the members of the jury considered eight research works and eighteen journalistic entries, and were impressed by both the high academic standards of the theses submitted and the wide range of journalistic works. In fact, it wasn’t at all easy for the jury to select the winning entries in either category. 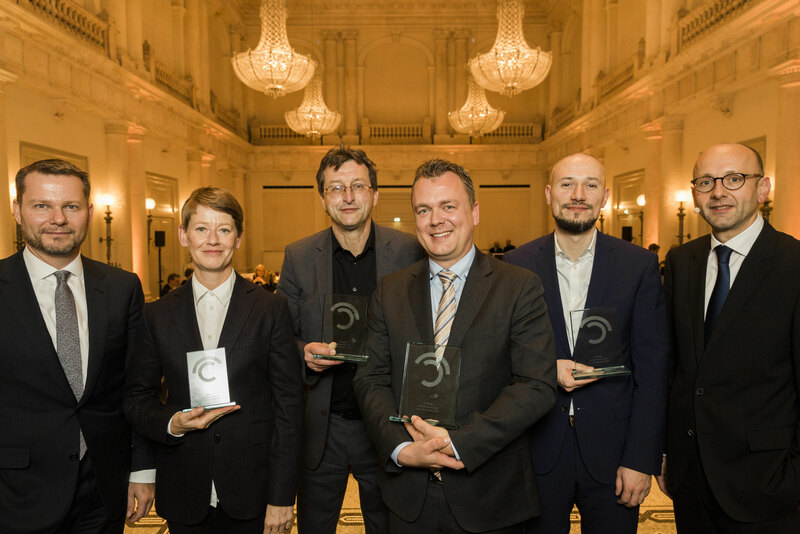 With the focus on academic rigour and practical relevance in the Research Awards, when it came to the Journalism Awards, the jury paid particular attention to solid investigation and the clarity of the topics addressed. 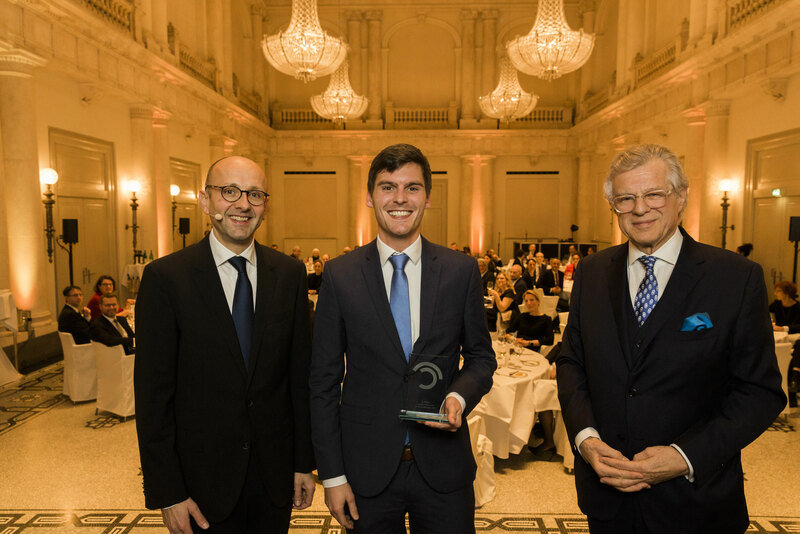 The first prize in the 2018 Gravenbrucher Kreis Research Awards went to Patrick Keinert for his comparative law thesis ‘Contract Termination in Insolvency’ submitted to the University of Geneva. The jury emphasized that in his extensive international legal comparison, Patrick Keinert never lost track of the central theme and always delivered compelling arguments and results. It added that his robust work was a source of new practical conclusions and also scholarly findings. 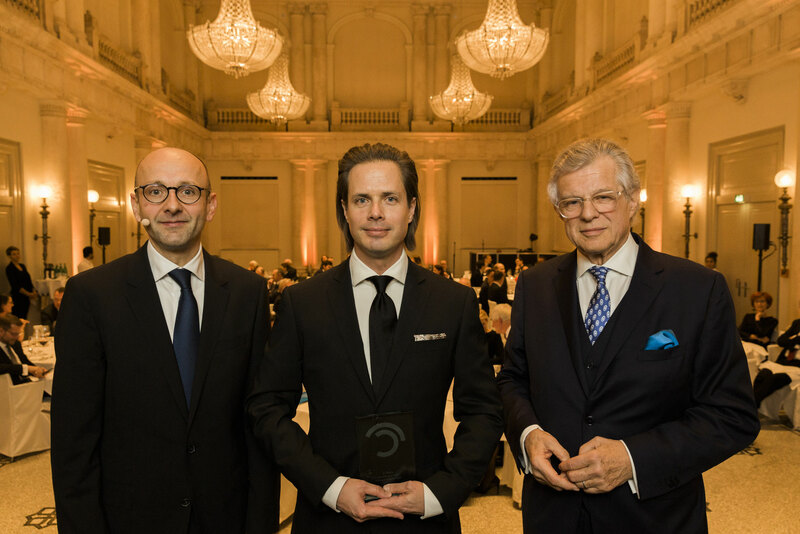 Tilman Rauhut’s entry on ‘The Segregation of Money’ submitted at the University of Mannheim came second in the 2018 Gravenbrucher Kreis Research Awards. 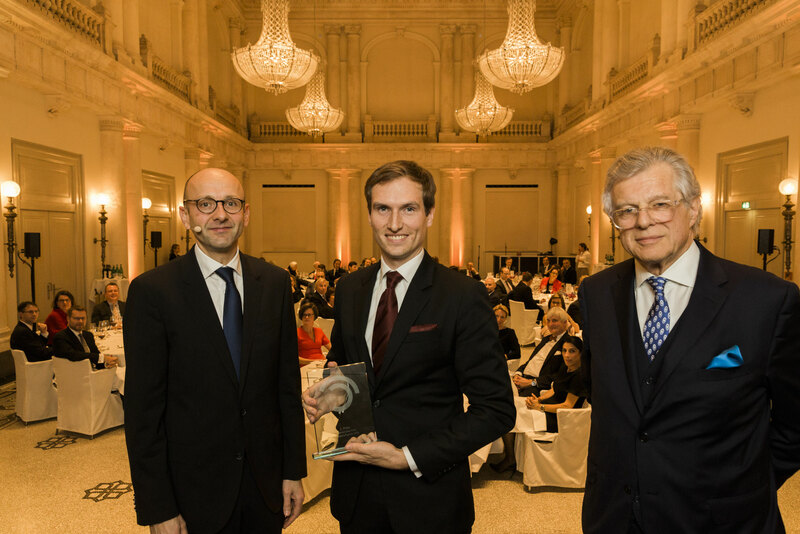 The third prize went to Johannes Richter for his doctorate on ‘The Inadmissibility of Extending Insolvency Proceedings with Special Regard to the Advance Financing of Redundancy Payments’ submitted to the University of Bonn. Lars Petersen won the first prize in the 2018 Journalism Awards for his series of articles published in B.Z. on the insolvency of airline Air Berlin. The jury was impressed by his multifaceted treatment of this insolvency’s impact on passengers, staff, Berlin’s administration, and the entire aviation industry. Lars Petersen examined the topic for months with well-researched articles which clearly explained the events surrounding the insolvency to a broad readership. The second prize in the Journalism Awards was also presented by the jury for extensive reporting on an insolvency case – a multimedia special produced by business newspaper Handelsblatt about the Schlecker chain of drugstores. A team of twelve journalists reported extensively on the Schlecker family in connection with the criminal proceedings launched against it at Stuttgart Regional Court in March 2017. 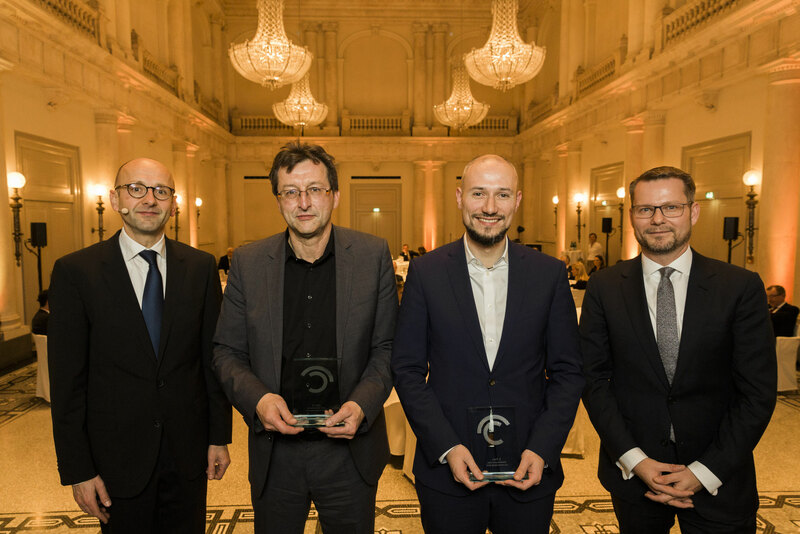 In recognition of the team’s multimedia treatment and outstanding journalistic presentation, the jury presented the award to project manager Anis Mičijević and court reporter Martin-Werner Buchenau on behalf of their colleagues. 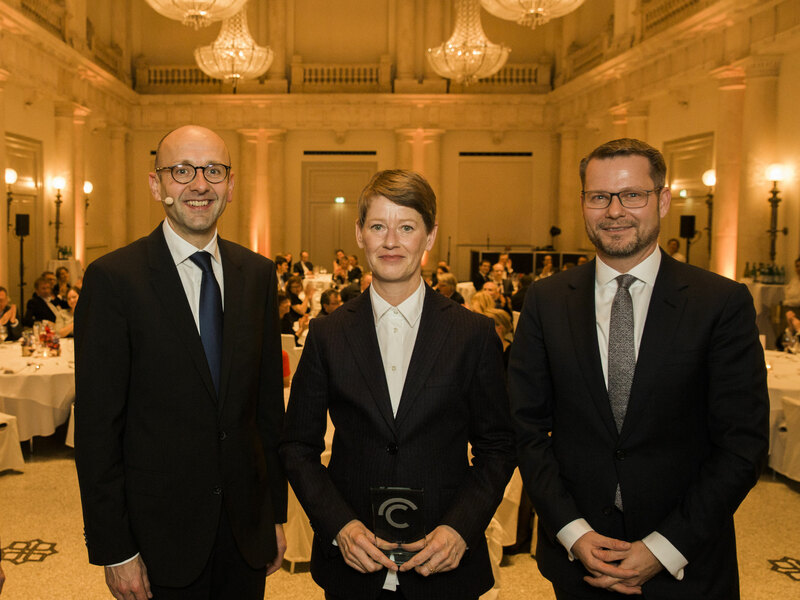 A feature on ‘Corporate Zombies’ garnered third place in the 2018 Gravenbrucher Kreis Journalism Awards for Catherine Hoffmann and Michael Kläsgen. Under the headline ‘If one falls’, they explained in an article in Süddeutsche Zeitung in August 2017 the impact that rising interest rates would have on companies only able to stay afloat because of the availability of cheap credit. 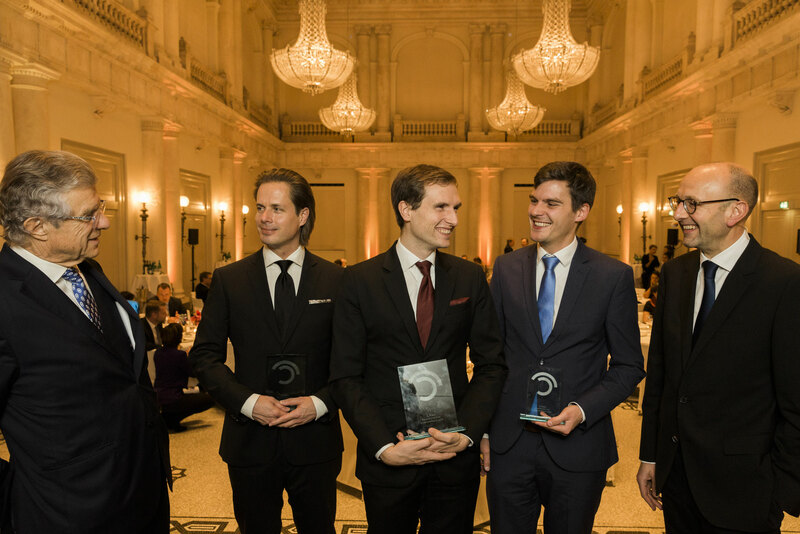 The prizes were presented at the awards ceremony attended by about 90 guests at the Hotel de Rome on the evening of Friday 23 November. In both competitions, the winning entry received a cheque for €5,000, with €3,000 for the runner-up and €2,000 for third place. Photos of the awards ceremony and the winners can be downloaded below.